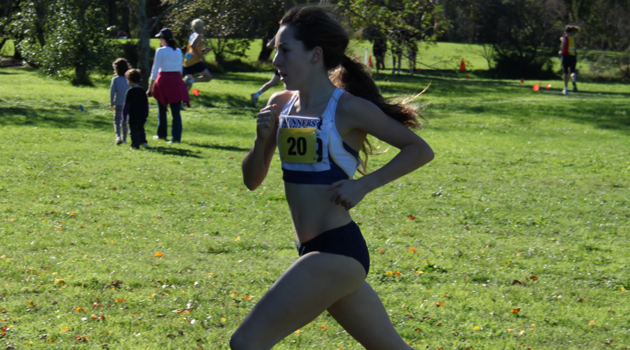 Courtney Powell is our 15th Athlete to speak to us about making the 2014 IAAF World Junior Championships Team. Members of the Spark Team will compete in Eugene (USA), from July 22nd to 27th 2014. I dabbled in Little Athletics at Box Hill in my later primary school years but it was in year 7 when I met my first coach Stephen Ellinghaus after beginning at Ruyton Girls’ School that my enthusiasm for the sport grew. Under his guidance I surprised myself with a medal at the AUS XC Championships in year 8, and after getting that taste of what I could achieve in athletics I have been very involved ever since! Very excited and it still feels a bit unreal! Although the prospect of Oregon was somewhere in the back of my mind during my last year of school I didn’t think I could actually make the team until I achieved the 5km qualifier a day after my final VCE exam. Without the stresses of school it was from there I could devote more time to athletics and begin my quest to make the team! Not really- my new coach Nic Bideau is more focused on my development as an athlete long-term and is reluctant to change anything that could result missing the competition altogether due to injury! I come from a very low-mileage background so I’ll be looking to increase from running five times per week after WJ. I understand that if I want to be competitive in the future I’ll need to run more but it’s a slow process and I must be patient. For now, I’m hoping consistent, smart running and race-day guts and determination is enough to bring about a personal best performance at WJ. I’m looking forward to being a full-time athlete for a month whilst getting to hang out with my teammates and see a bit of Canada and the USA. I’m so excited to get to wear the green and gold and represent my country at the historic Hayward Field. I’m sure the thrilling atmosphere, whilst trying to hang on to the World’s best juniors will fire me up and hopefully bring about a personal best performance! So many different athletes such as Sonia O’Sullivan, Zoe Buckman, Susan Kuijken, Gen Lacaze and my younger sister Laura all inspire me as I try to improve myself by becoming more like them and listening carefully to any advice they offer. However I am most inspired by those who are persistent and continue to challenge themselves through the “flat” times of their running journey. I’m always so thrilled to see the ones who continue to solider on have a breakthrough performance and be rewarded for their perseverance and dedication! Every athlete has a different recipe for success, so don’t get court up on what other people are doing! Make sure you trust your coach and listen to your body, aiming for consistency instead of embarking on ridiculous training regimes that are likely to result in injury! Constantly reflect on why you do athletics and aim to achieve a healthy balance between being an athlete, your education and most importantly the relationships you have with family and friends.